January usually means cold weather. Blustery winds and snow. Of course right now that’s not the case here in Virginia Beach, but I’m sure it’s coming. And as much as I say I really don’t want the snow, just a little bit would probably be nice. And with that cold weather comes a lot of hearty soups and casseroles and of course everyone’s favorite (almost everyone-our daughter doesn’t like it at all) chili. Add a thick slice of piping hot buttered cornbread and you’ve got a great meal! Especially during those playoff football games! Somehow I missed out on enjoying this great delicacy when I was growing up on the Eastern shore of Maryland. I guess we were too busy enjoying the steamed crabs, fresh fish, and fried chicken the area is known for. I don’t remember when I first started making and enjoying chili, but I’m sure glad I did! I’ve made a lot of it, and played around with a lot of ingredients, but I’ve finally found the combination I like the best, and decided to share it for the new year!! Before I give the recipe though, just remember, this should be used as a guideline for experimenting and coming up with your own variation. Recipe can also be doubled if you have a hungry crowd! I usually make it slightly different each time, but the main ingredients stay the same. Combine meat, seasoning mix, tomatoes and beans in dutch oven or similar pot. You can also add a can of chopped mushrooms or a tablespoon or so of powdered mushrooms. Simmer, on low, covered, at least an hour, stirring every 10-15 minutes. Taste occasionally. Season more if desired. Add a splash of red wine vinegar and simmer another 10 minutes. Add 1/2 oz of UNSWEETENED baking chocolate. Stir well. Continue to simmer. This cuts the acidity and gives it a nice smooth touch. I usually cook mine a total of two hours. And I usually make a double quantity, and end up adding an extra can of kidney beans. It’s basically a “taste and go” kinda recipe. I like to serve cornbread or corn muffins with it as well. 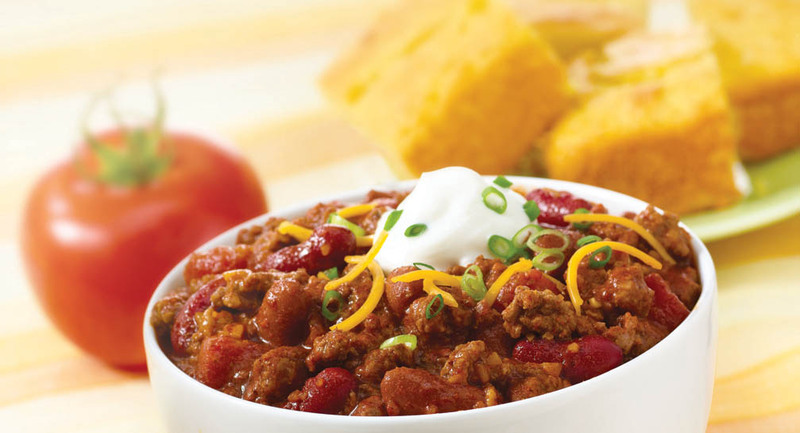 So what’s in your chili recipe? I really enjoy hearing new ideas. In fact, I may just have to make a pot tomorrow! Previous New Year’s Traditions…What Are Yours? You know as much as I like chili the thought of putting chocolate into chili was not very appetizing to me. 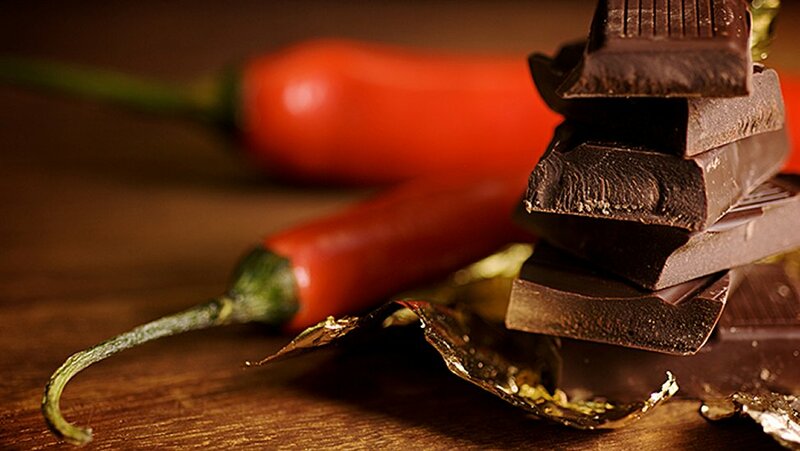 Don’t get me wrong I absolutely love chocolate just not in chili. Well after I tasted Deb’s chili with chocolate I’m a new believer! Folks if you are looking to experiment with a chili recipe then I suggest you give Deb’s a try. It is delicious! !